Greenwich is a Borough of contrasts. 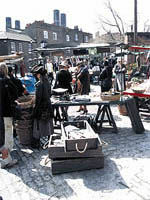 It offers a host of first class locations with it's fine architectural and historic heritage; the industrial fabric of its riverside wharves; houses and housing estates from a variety of eras; the largest expanse of parks and open spaces in London; and a cultural and creative sector which makes Greenwich a welcoming and favoured destination for film makers. Greenwich has hundreds of locations, many of which can be viewed in the Locations Library on our website. 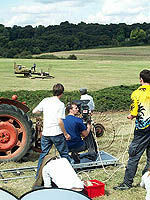 The Film Unit acts as a one-stop-shop, liasing with Council departments on your behalf, to facilitate services. A friendly and efficient staff will help you find your ideal location and guide you through the process arranging everything from parking and refuse collection to attending recces and advising on health and safety issues.